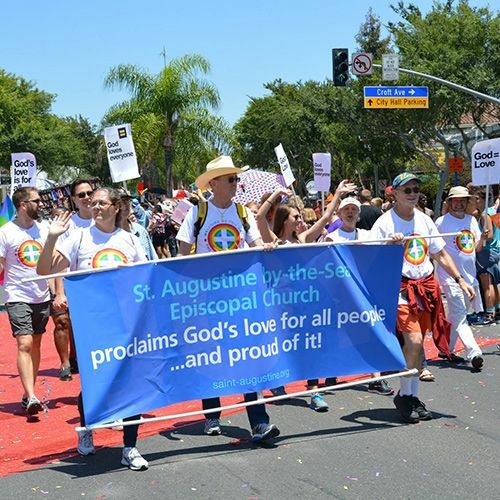 Every year our parishioners, loved ones and clergy join Episcopalians around Los Angeles to proclaim God’s love for all people at LA Pride. We gather outdoors and share the Eucharist, then march in the parade through West Hollywood. This past year our team was the largest one in the diocese!